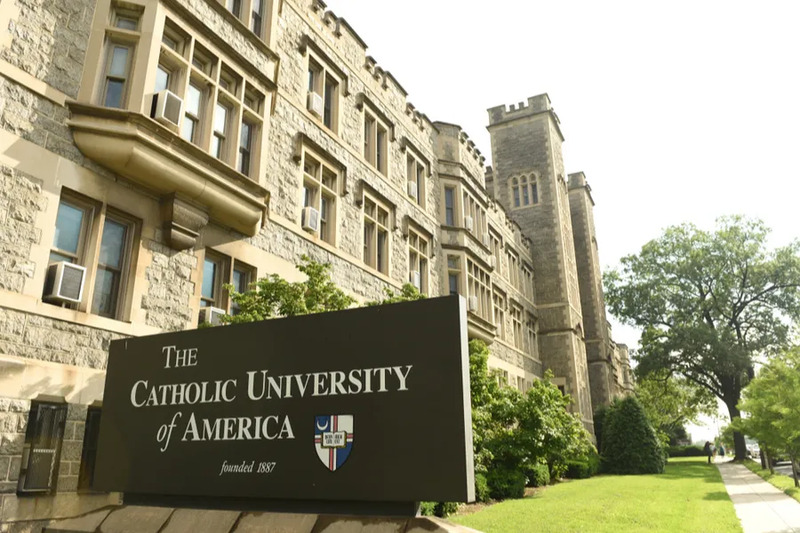 Washington D.C., Oct 11, 2018 / 05:15 pm (CNA).- The benefits and drawbacks of different Catholic campus ministry models were the focus of a new U.S. bishops’ report released Oct. 9. The report also highlighted a lack of a Catholic presence especially at community colleges. “Catholic campus ministry provides a unique opportunity to meet and engage young adults and adults at every phase of Church life and testimony,” Bishop John M. Quinn of Winona-Rochester, Minn. and Auxiliary Bishop Fernand Cheri of the Archdiocese of New Orleans said in the report’s forward. “Our ministry must center on people, for we are forming men and women to be people that reflect Christ to each other and to the world,” said the two bishops. There is a Catholic presence at about 25 percent of the more than 3,000 four-year colleges and universities in the U.S. Among the country’s 1,500 community colleges, only one in 60 have a Catholic presence. Bishop Quinn chairs the U.S. bishops’ Committee on Education, while Bishop Cheri is episcopal liaison to the Catholic Campus Ministry Association. The report includes a pastoral synthesis and proposed action plan from the two bishops. The U.S. Conference of Catholic Bishops’ Secretariat of Education commissioned the study, titled “A National Study on Campus Catholic Ministry,” with the goal of advancing Catholic identity in higher education and to renew the vision of Catholic campus ministry across the country, the U.S. bishops’ conference said. The report said there is a need to increase the quality of campus ministry as well as the number of campuses and students served. The study had a 56 percent response rate among the estimated 1,911 campus ministers in the U.S. in 2017. It drew on the experience of campus ministers at public, private and Catholic institutions as well as mission officers, faculty members, missionaries, bishops and other stakeholders. These numbers included more than 500 missionaries with Fellowship of Catholic University Students, as well as St. Paul’s Outreach missionaries. Only two percent of respondents served at community colleges. The study examined the demographics of campus ministers. Overall, 69 percent are lay people, with 31 percent ordained and religious. Only five percent are religious sisters. Of the ordained and religious, the median age is 54 years old, compared to the overall median age of 35. Lay campus ministers have a median age of 29 years old. Overall, about 60 percent have a ministry-related degree. The report considered the diversity of models of ministry, whether based at an office, parish, student center, a diocese, a multi-campus effort, or missionary. There are also different pastoral styles of campus ministry. The report indicated some difference in emphasis between the missionary organization model and office-based campus ministry. Missionaries are usually recent college graduates serving within other pastoral models. These groups emphasize relationship and service to Catholic students through mentoring, small Bible studies, or community households. The office-based model mainly exists on Catholic campuses. These offices are well-staffed with long-term employees significantly more likely to have a graduate degree. Such offices serve the whole campus, including Catholic and non-Catholic students, faculty and staff. For the report’s authors, the variety of ministry models reflect the Catholic Church’s own diversity and complexity. The report also noted that some students find conversion in devotional practices, while others find it through service, and that ministers should be aware that the practices they find nourishing for their faith may not resonate with all students. It noted the need for pastoral sensitivity towards the spiritual needs of students and the campus community, including estranged Catholics, “seekers,” devout non-Christians, and student leaders. Vocational discernment is one of the least common activities offered to students, and campus ministers rank vocational discernment and spiritual direction among the lowest in significance for students’ spiritual growth, the report found. The report said campus ministers must continue to improve their abilities, especially in areas that are not directly faith-related like administration, organization and budgeting. “All campus ministers should be given educational access to foundational and ongoing training and formation necessary for responsible ministry in a campus setting,” said the report. The report authors were surprised by the number of ministers without regular spiritual direction. Almost sixty percent receive spiritual direction monthly or more, one-fifth receive it less than monthly, and sixteen percent receive none at all. The bishops’ Committee on Catholic Education has backed several recommendations for campus ministry, including an update of national standards; an update and redesign of the certification process for campus ministers; and guidelines for the formation and ongoing professional development of campus ministers in cooperation with the Alliance for Campus Ministry. 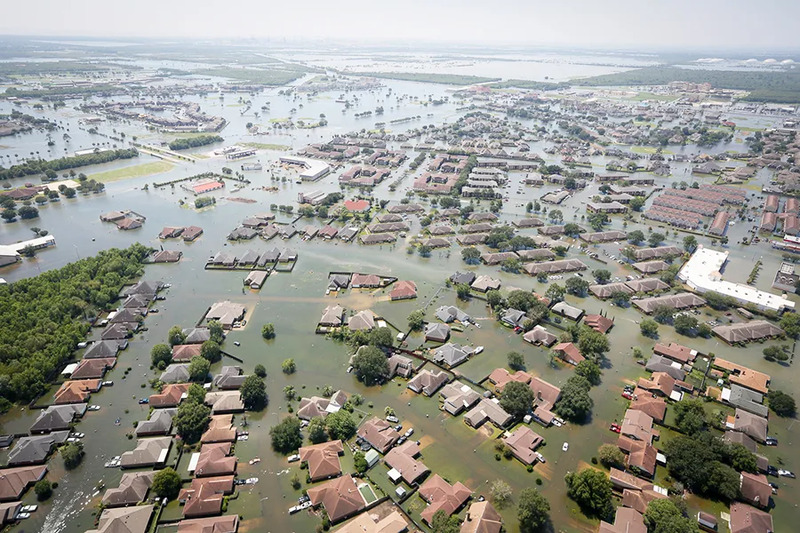 Houston, Texas, Dec 17, 2017 / 04:10 pm (CNA/EWTN News).- As Texas and Florida continue to rebuild from a devastating hurricane season, the Knights of Columbus are offering $1.4 million to aid the reconstruction of badly damaged churches.